The holidays offer plenty of reasons to be stressed out—shopping, cookies to bake, office parties, and reunions with friends. But for many, the biggest source of holiday stress is family: the family dinner, the expectations, and the burden of family tradition. This can be especially hard to handle if you’ve been away at school or if you’ve recently moved out and are trying to establish your own holiday traditions. Having different beliefs or attitudes than your family does can also cause tension and conflict during family gatherings. This is especially true with the tumultuous political and social year that we have had. 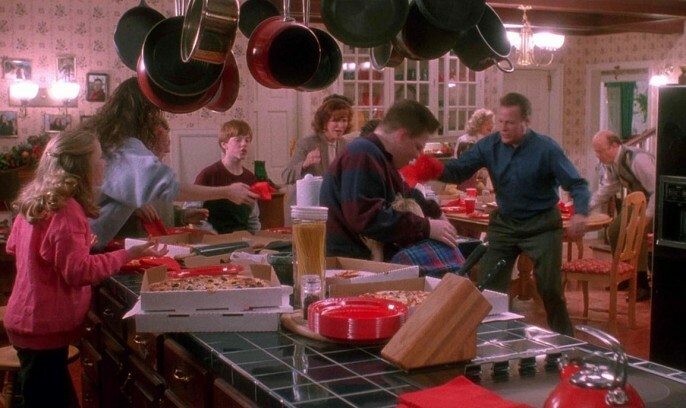 So here are some tips for surviving the holidays with family this year. Good news – your family parties have probably never ended with you being left in the attic. There’s a lot of cultural pressure during the holidays. We tend to compare ourselves with these idealized notions of perfect families and perfect holidays. The hope that our families will act perfectly—or even reasonably—sets us up for failure. Most people have less than perfect holiday gatherings. They have family tension, melancholy, and dry turkey too. Before you meet your relatives this season, take a few moments to sit quietly and acknowledge what you wish they were like. Then prepare to accept them even if they behave as they have always done in the past. At best, you may be surprised to find that they actually are changing. At worst, you’ll feel regrettably detached from your kinfolk as you watch them play out their usual arguments. You can’t change other people, especially not in one argument over dinner, so instead try to adjust what you expect from people when you go to these parties. Do not to let that other person off the hook necessarily, but understand that you can’t change them. Expect the expected, or expect nothing. You had your life and everything you needed before you stepped into dinner, and it will be there after any debate your relatives can throw at you. Whatever happens, you are an adult now and you can survive outside of family dinners. Your mom just said that thing that drives you crazy…again. Don’t let it get to you. Make a coffee run. Go for a walk. Take any kind of timeout that you need to compose yourself and clear your head of revenge fantasies. While you’re walking you can remind yourself that this too shall pass. If that doesn’t work, think about something you’re really looking forward to—a hot bath, food, or the drive home. Emotionally, physically, and psychologically, the holidays are draining. You need every bit of strength. Try to get enough rest and exercise. Be aware that we tend to consume more sugar, caffeine, and alcohol during the holidays. These leave us feeling run down or depressed if we over indulge in them. Getting enough sleep, keeping to an exercise routine, and trying to eat healthy will help you keep a stable and happy mindset for the holidays. These may not be your problems, but that doesn’t mean you can’t help diffuse the situation when your distant cousin and aunt are battling it out over who burned the broccoli casserole. A well-time joke or story is usually enough to remind everyone that they are at dinner with the family, and should respect it as such. They are your family, so you’re not escaping these people easily. These best thing to do is to remember that the holidays are a time to let things go and enjoy the company of others. In all the hustle of the holidays and the worrying over presents and money, we can forget the importance of family in our lives. Remind yourself and your family about it when things get tough.